Époque chair, past eras of design, beautifully blended into a modern seat. ‘Époque Chair’: past eras of design, beautifully blended into a modern seat. Launching Époque, Eftwelve introduces a chair unique in form, dimensions and material. 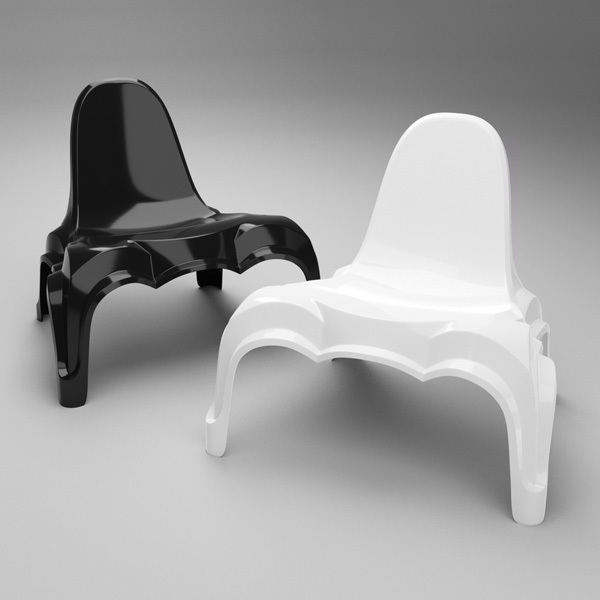 The Époque is a fresh chair by Dutch designer Wybren van Keulen. The curves and sharp folds of this design reminisce of times passed. Époque brings together several eras of design, beautifully blended into a modern seat. Époque, chair of contrasts, unites times past in a refreshingly new design. Back rest, seat and legs all blend seamlessly in a single piece. Hand made in fiberglass reinforced resin, the chair is made to last yet surprisingly lightweight. A high gloss finish gives the product its classy look. Available in white, black, and all RAL colors, its fluid curves and sharp lines make a statement in your interior, on the patio or even a beach club deck. Designing Époque, studied choices were made in form, comfort, material and the ability to actually produce the chair. The end product is a chair you can tell apart by its unique form and unconventional dimensions, both contributing to a surprisingly active yet easy seat. The lines and curves in the design originated in a 3D drawing. 3D printing formed an indispensable reality check. Several life size prototypes helped balance the elements for the perfect posture. The final mold was milled on a computer controlled robot arm. Creating each Époque chair is a skilled piece of handwork done by an experienced workshop operating since the 1970s. Forming each chair takes around five hours of delicate preparation, laminating and finishing. Finish: high gloss top, satin bottom, UV and weather proof. Usage: indoor as well as outdoor, stackable. Dimensions: 72 cm wide, 62 cm deep, 64 cm high, seat hight at 27 cm. Editions: white, black and RAL colors. Inquire for orders and estimated delivery times. Back rest, seat and legs all blend seamlessly.